During the Second World War, two tank brigades were formed from the allied aid at NOVJ. They were the First and the Second Tank Brigade, which made a significant contribution to the final struggle for the liberation of the country. At the end of the war, the two brigades found themselves in the northwest region of Yugoslavia. 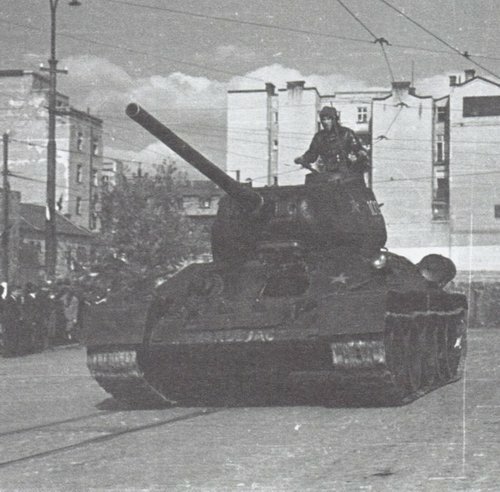 At the end of May 1945, the first tank was in the old area of Trieste, and the second tank brigade was sent to Zagreb on May 17, which was effectively broken through Trieste on 21 May. 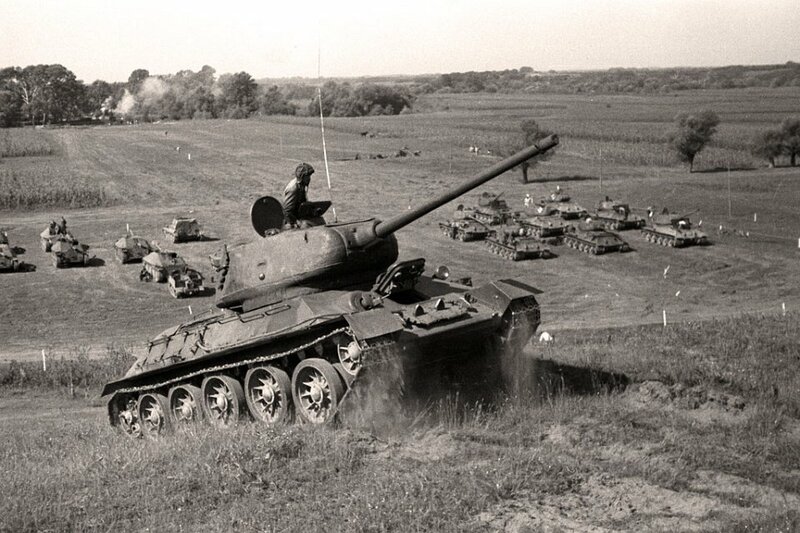 In May 1945, a decision was made about the formation of a Tank army, based on positive experiences with tank brigades and the influence of Soviet doctrine. 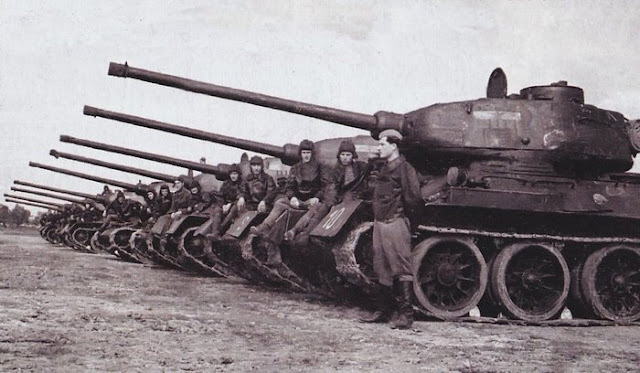 The basis for the formation of this army was the two existing tank brigades, which turned into divisions after joining a single mechanized and artillery brigade. In late July, in addition to two tank divisions, the composition of the First Tank Army entered one tank, artillery, mechanized, anti-aircraft, artillery and engineering brigades. Formation and organization of the armies started on the Soviet principles and modified according to their own material abilities. Unlike the Soviet tank armaments, which were pure operational units, the Yugoslav tank armor has united all other components of the Armed Forces Mechanized Units (OMJ). Jula 1945 god. Soviet colonel Ktitorenko came into the tank army as an adviser. Colonel Ktitorenko considered that the First Tank Army with the existing forces could not fulfill the tasks due to the characteristics of the Yugoslav territory, the available number of tanks, lack of communication equipment, inexperience in command of large tank formation, lack of personnel, poor railways and transport equipment. In addition to many suggestions, he noted that 143 correct tanks were available and that a further 65 tanks T-34 are expected to be delivered. The military and political situation in the Army is assessed as "bad" and the soldiers' training is "very weak" The problem is the lack of parts, especially for English tanks. 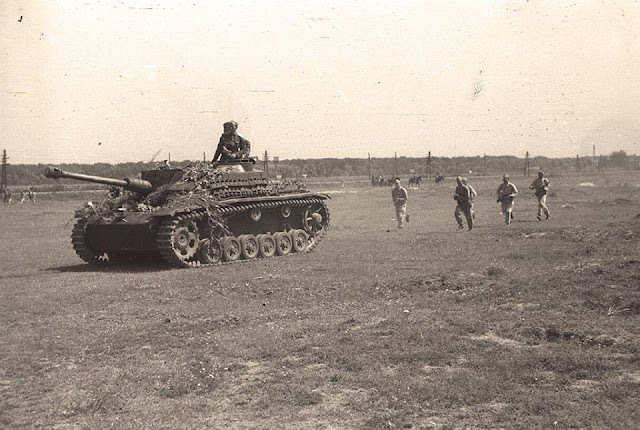 In the middle, 1945., The work has started TOS (Tank officers' school), which was supposed to carry out retraining and additional training of officer personnel for a period of six months. At the beginning of 1946, after the arrival of 66 T-34 tanks, which reinforced the 5th Tank Brigade, a new 6th Brigade was formed, which is only partially equipped. According to the data from the monograph on the formation of the 6th tank brigade, there were 2 tanks of German origin. 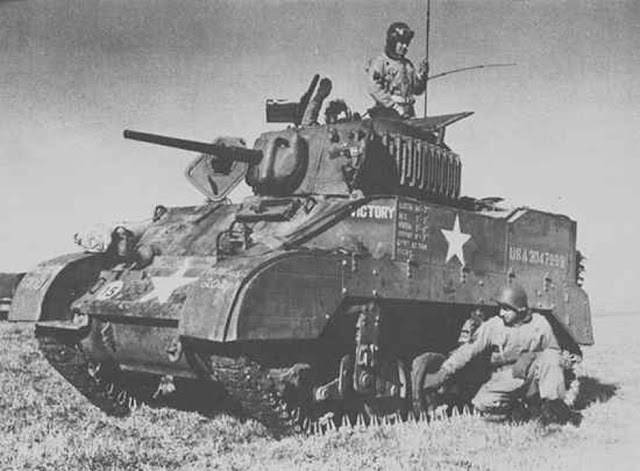 Later on, from the 1st tank brigade was assigned to 25 Stuart tanks, 3 armored vehicles (AEC), 2 half-tracks, 2 vehicles, 2 passenger cars, 6 mobile workshops, 23 trucks and 3 motorcycles. The biggest problem of this period was the exceptional heterogeneity of the technique. In use were 11 tank models, 7 self-propelled models, and 10 armored car models. The Yugoslav Army had been arming many different models of armaments like any other army in history. On the basis of interstate agreements with the government of the Soviet Union in June 1946.., Purchased 308 T-34 tanks and 52 self-propelled guns SU-76, which was delivered during in 1947. The new contract of 30 June 1947 has not been fully realized due to the interruption of all relations with the USSR in 1948. 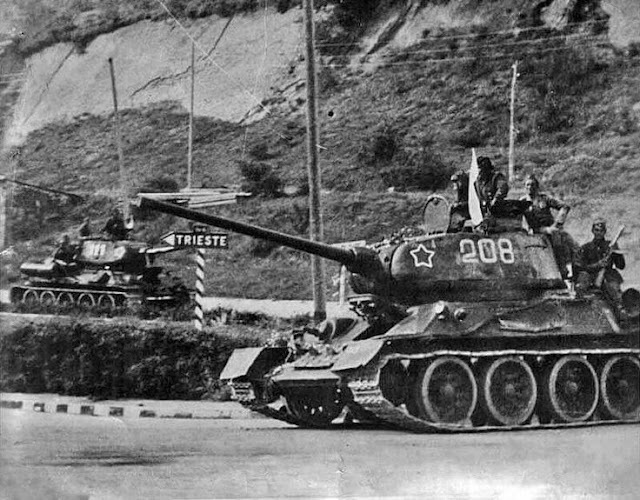 Until the termination of relations with the eastern bloc Yugoslav Army has received about 425 T-34 tanks, 66 tanks in 1946 + 308 in 1947. The conflict with the USSR and other countries of the "East Bloc" was officially published by the adoption of the Resolution of Informbiro on June 28, 1948. The conflict had already occurred earlier, and Generalstab had already issued orders on 14 May to schedule the deployment and location of all units, from armies to independent battalions. These measures were taken due to the numerous presence of Soviet instructors in the earlier period. 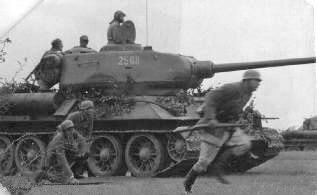 The Soviet instructors were withdrawn during June 1948, and the training of a large number of our tank crewmen in Soviet military schools was interrupted. As there was no domestic production, the current maintenance of the existing vehicles was brought into question. There were several workshops available for the maintenance and overhaul of armored vehicles, and the most significant was in Mladenovac until 1950, where most of the parts for the T-34 were produced. Drawn by these successes, the military authorities decide on the production of the domestic tank. The result of great effort and enthusiasm was a failed copy of T-34, Vehicle A (Type A). After the complexity of the military-political situation in 1948. Many units are dislocated. The deep background suddenly became a possible front line. Due to the interruption of delivery of armored vehicles from the Soviet Union corps could be reinforced by the planned level. This level predicted the expansion of the tank brigade in the divisions, so in the mid-1950s, Mechanized Corps re-engineered into divisions. During the period from September 20 to October 2, large maneuvers were held in Sumadija, supervised by J. B. Tito. 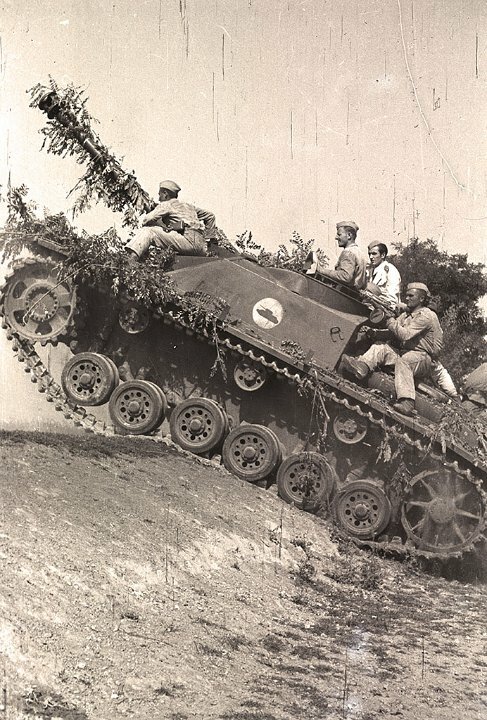 Armored Mechanized Units had the most notable role, and the concept of maneuver had predicted a breakthrough in enemy defense positions by tank units. 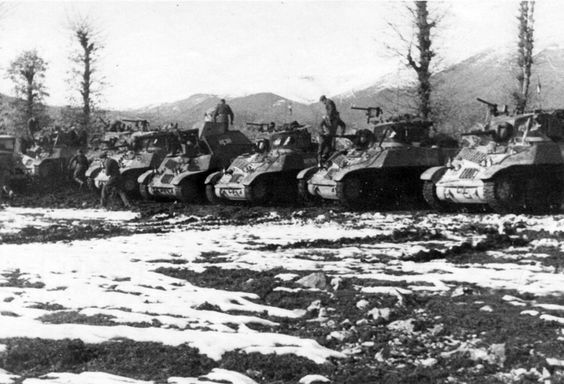 Then, the introduction of the Movement Group of Armored Units that had to be connected with the descent in the background of the front. Despite the great effort, our own forces could not be far. At the end of this period, the political leadership of Socialist Yugoslavia created for many unavoidable steps - military - economic rapprochement with the capitalist West.